Rama Properties is the one-stop destination offering complete property related solutions. We provide effective assistance for property legal matters to the clients for all kind of residential, commercial and industrial properties. 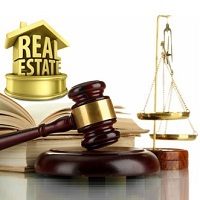 We provide Property Legal Advisory in Delhi/NCR right from the documentation work to the buying or selling of the property for hassle free transaction. Moreover, we provide legal advices to the clients throughout the transaction process for cracking the most fruitful deal. Consequently, we are reckoned as a prime legal consultancy firm in Faridabad. Our legal consultancy services include Property Documentation, Property Registration, Property Law Services, and Property Litigation. For this, we have a qualified team of professionals who have in-depth knowledge of property related legalities and profound knowledge for the same. Further, we ensure thorough checks during the entire process in order to keep client at utmost ease and provide most cost-effective solutions.